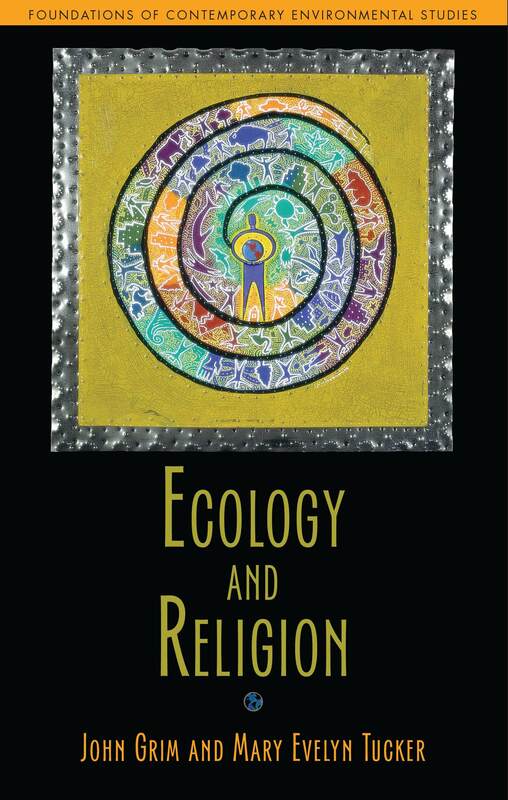 Ecology and Religion is a foundational text for environmental studies and religious ecology. It is a distillation of Grim and Tucker’s 20-year effort to create religion and ecology as an academic field of study. They take us through the development of religious ecology showing how our understandings of nature have shifted over time in various religions, and in western philosophical traditions and the environmental sciences. They trace views of nature through various phases of our western cultural transformation, highlighting competing views of human-nature relationships and divine-nature relationships (e.g., humans and divinity as part of or apart from nature). Chapters on Orthodox Christianity, Confucianism, Indigenous traditions, and Hinduism show how religious ecologies are present in story, ritual and action. The book is also a journey through the experiences that shaped Grim and Tucker’s understanding of the field. This journey began with their work with their teachers, especially Thomas Berry, and continued with their studies of Indigenous (Grim) and East Asian (Tucker) religions. The book draws on the resources developed during the three-year conference series at Harvard on World Religions and Ecology, as well as from their work abroad, including in China and in India, as well as with the Green Patriarch, with Indigenous peoples, with the Earth Charter, and with the Journey of the Universe film. This introductory text is also a guide to cultivating the sensibilities, ethics and practices necessary for creating mutually enhancing human-Earth relationships as a broadly interreligious effort in collaboration with ecological and cosmological sciences. Most people identify themselves as religious and/or spiritual, and for many, their faiths call them to live in ways that respect and care for all life (present and future) and to focus on being more, not having more, after their basic needs are met. Unless our religious communities weigh in on caring for the natural world, our ecosystems that nurture us and all life will be greatly diminished. Grim and Tucker argue that religions are entering their ecological phase and that religions should play a critical role in advancing a strong framework for sustainable development based on the convergence of these religious ecologies. Indeed, many religious communities already are contributing examples of compassionate and sustainable living. Grim and Tucker define religious ecologies as “ways of orienting humans to the universe, grounding them in the community of nature and humans, nurturing them in Earth’s fecund processes, and transforming them into their deeper cosmological selves,” opening us toward “the creative force in the cosmos.” Religious ecologies provide ritual structures and ways of living that connect us to the community of life. Participants in the Harvard conferences identified seven key values for human-Earth flourishing that are shared by the world religions: reverence, respect, restraint, reciprocity, redistribution, responsibility and renewal. These values are foundational to religious ecologies. The chapters on Christianity, Confucianism, Hinduism and Indigenous traditions give rich examples of the religious ecologies of these diverse traditions, emphasizing respect for others, social harmony and interconnectedness with nature and Earth within their varied world views. However, as Grim and Tucker point out, religions also have their problematic dimensions, including intolerance, dogmatism and fundamentalism. And certainly contemporary Christian, Chinese, Indian and Indigenous societies are far from practicing mutually enhancing human-Earth relationships. Educate ourselves to work effectively in development policy arenas, understanding the critical changes that need to happen in our economic and governance structures to create a flourishing future for all. The Preamble also states that “we are part of a vast evolving universe.” Grim and Tucker’s efforts with Brian Swimme to produce and distribute the Journey of the Universe film reflect this sensibility of our profound role in evolutionary processes. The Journey film, book and conversations contribute much to the grounding and orientation needed for building cultural narratives that reorient our sense of who we are and the purpose of the journeys we are on, so that we can live in ways that all can live. The world’s religions can play a role in the ethical articulation of a path toward a flourishing future, where humans are not dominating nature but rather recognize their profound dependence on the larger community of life. Large-scale and long-term perspectives will be needed to envision sustainable ecosystems that have developed over billions of years, sustainable living for humans at present, and a sustainable future for all life. Ecology and Religion will be vital in assisting us in the critical task of creating mutually enhancing human-Earth relationships.